We have taken the mystery out of eating gluten-free with these healthy favorites! Scroll down on this page and see all of the amazing extra-healthy gluten-free recipes we have for you. Then choose the Recipe Sheets you want to download. Enjoy your FREE PDF Download. It couldn't be easier! 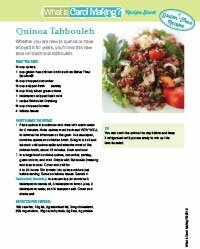 Whether you are new to quinoa or have enjoyed it for years, you'll love this new take on traditional tabbouleh. I make this salad all year long—not just for my GF friends, but for everyone! 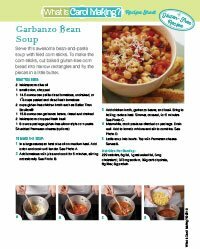 Download the Recipe Sheet for free today! 1 Place quinoa in a colander and rinse with warm water for 2 minutes. Note: quinoa must be rinsed VERY WELL to remove the bitterness on the grain. In a saucepan, combine quinoa and chicken broth. Bring to a boil and let cook until quinoa splits and absorbs most of the chicken broth, about 15 minutes. Drain and cool. 4 to 24 hours. 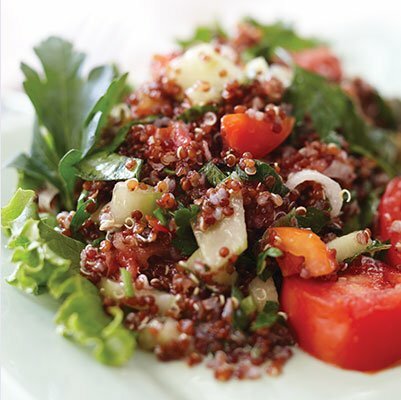 Stir tomato into quinoa mixture just before serving. Serve on lettuce leaves. Serves 4. Tabbouleh Dressing: In a screw-top jar combine 3 tablespoons canola oil, 3 tablespoons lemon juice, 2 tablespoons water, and ¼ teaspoon salt. Cover and shake well. 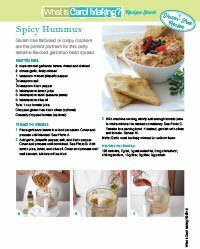 My son, Michael and his wife Marcia developed this recipe—they love hummus and their little ones love it too. 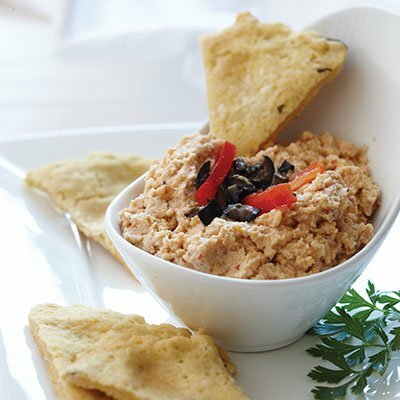 Gluten-free flatbread or crispy crackers are the perfect partners for this zesty sesame-flavored hummus. Download the Recipe Sheet above for the recipe and tips for making perfect hummus. 1 Place garbanzo beans in a food processor. Cover and process until blended. See Photo A. 2 Add garlic, jalapeño pepper, salt, and black pepper. Cover and process until combined. See Photo B. Add lemon juice, tahini, and olive oil. Cover and process until well blended. Mixture will be thick. 3 With machine running, slowly add enough tomato juice to make mixture the desired consistency. See Photo C. Transfer to a serving bowl. If desired, garnish with olives and tomato. Serves 10. Note: Garlic must be finely minced for uniform flavor. 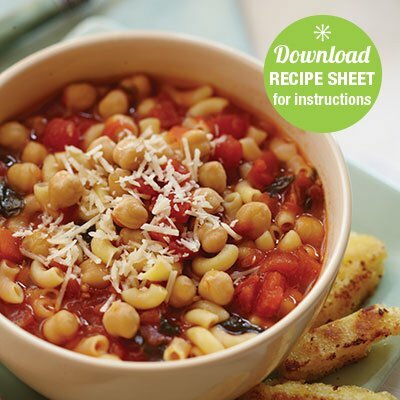 Serve this awesome bean-and-pasta soup with fried gluten-free corn sticks. To make the corn sticks, make gluten-free cornbread and cut into narrow rectangles and fry the pieces in a little butter.